Things are back on course. I would say that I’m done restocking, but this time of year I do a lot of stocking up so my pantry is very full at present. That being said, there were a lot of coupons this month – $29 for Stop & Shop and $45 for Wegman’s excluding manufacturers coupons, e-offers, etc. 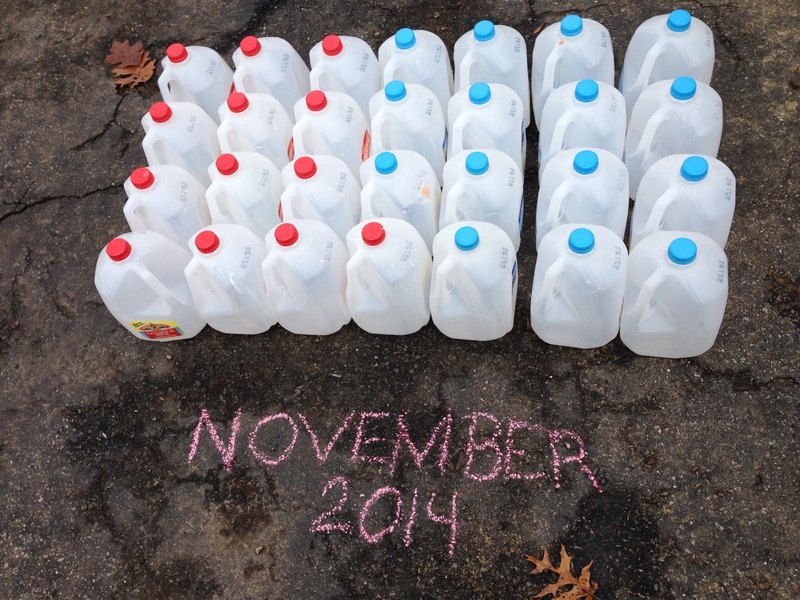 For kicks I saved the milk cartons for November. I buy based on our drinking one gallon per day and this picture shows it – just about one carton per day. 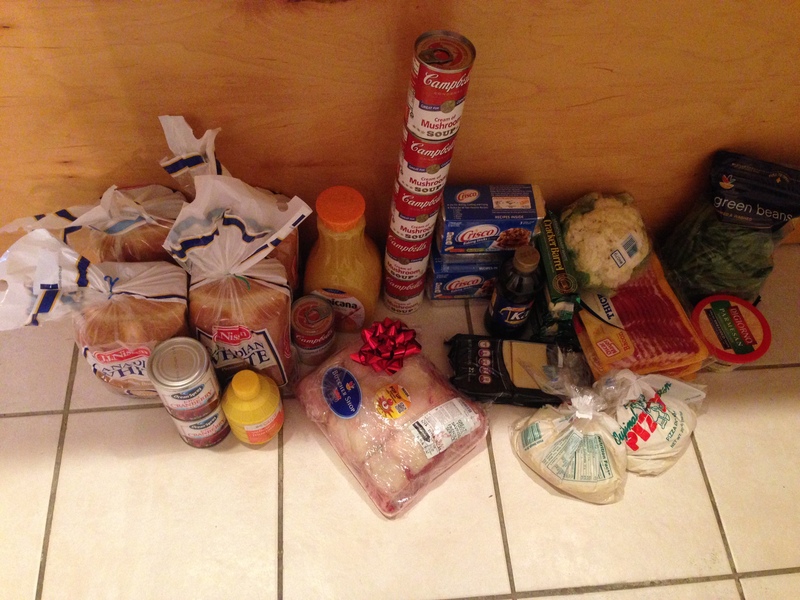 Here’s the last batch of groceries from my Stop & Shop run. Total was $106.09 after all sales, offers, and coupons. Plus I got lots of gas points which, with my 18 gallon tank, come to almost $10 next time I fill up. I need to note that I’ll be doing less writing this month. It’s super busy with the holidays. And, I’m gearing up for the online launch. I’ll be writing on Monday’s only until January when we will get back to normal.